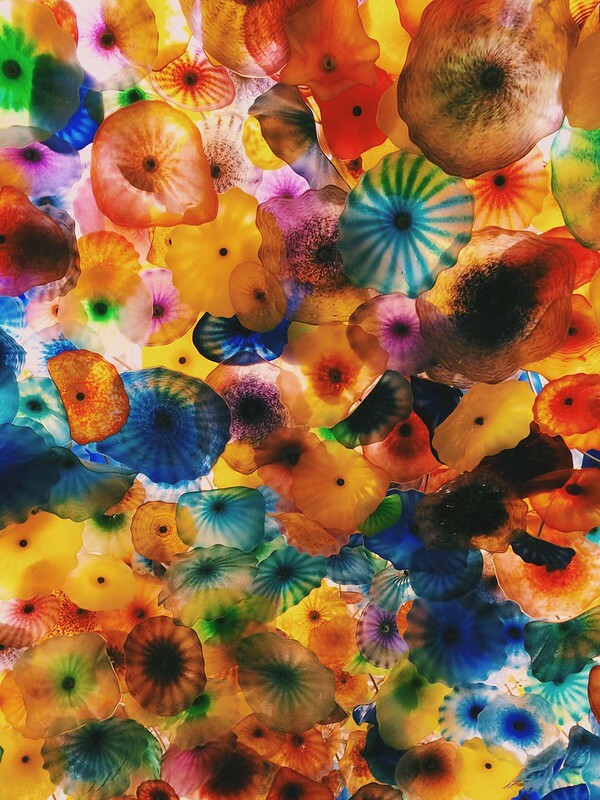 Last Cinco de Mayo, I found myself standing underneath an installation of over two thousand handblown glass flowers by American glass sculptor Dale Chihuly. 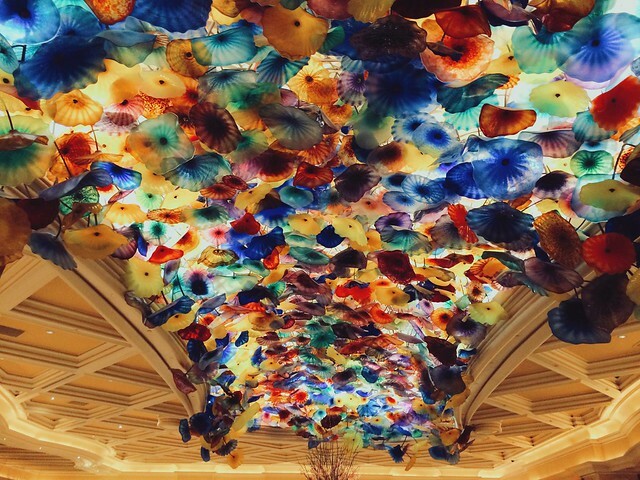 Aptly called Fiori di Como, which is representative of Italian fields during spring, Chihuly’s stunning masterpiece definitely takes the cake in a city where every nook and cranny bombards travelers with one visual feast after the next. 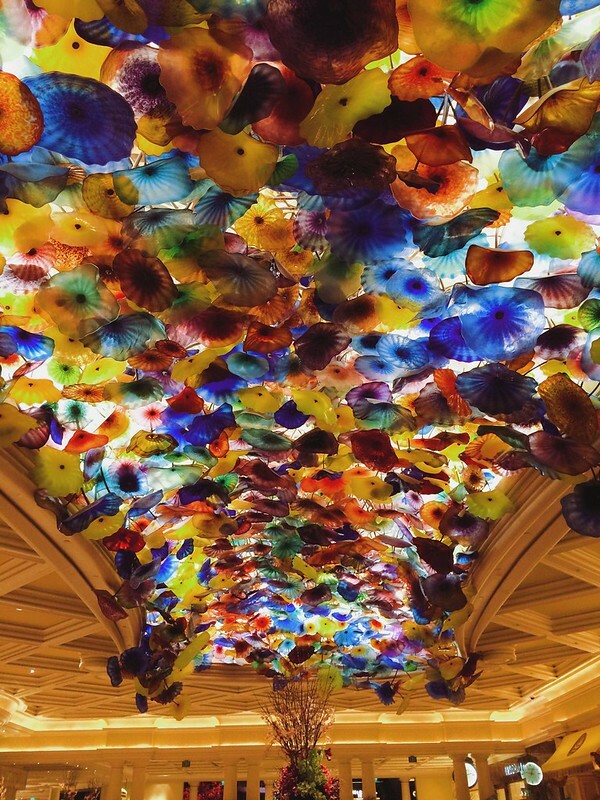 Given that I had already imbibed mojitos into my system over at The Bellagio’s equally swanky neighboring casino Caesar’s Palace, to say that I found Chihuly’s massive (the structure reportedly weighs over 40,000 pounds) and multicolored masterpiece quite trippy is understating it. I had seen some Chihuly pieces at the de Young Museum in San Francisco last year and back in December at the Diamond Hotel lobby in Manila—though I’m not quite sure if the installation is a Chihuly but it definitely looked like one…see photo below—so when I suddenly found myself invited to cover the same conference in Las Vegas again, I knew I had to pop on over to the Bellagio for a peek. 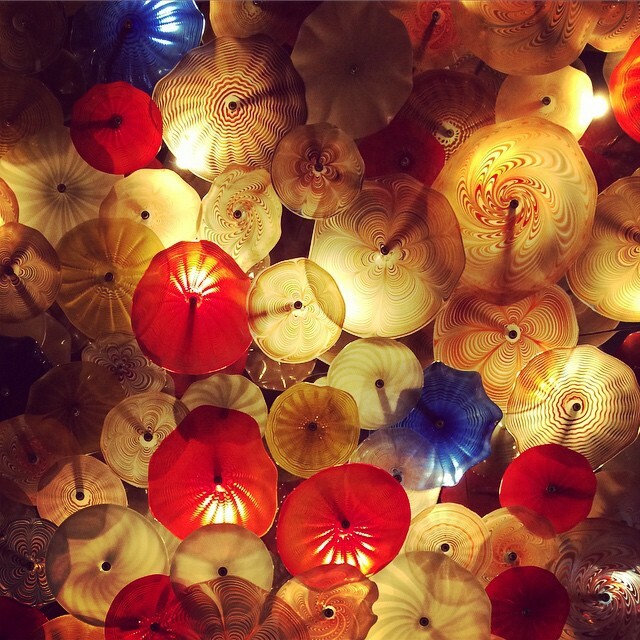 There were other Chihuly glass sculptures at the Bellagio, but I was unable to photograph it. 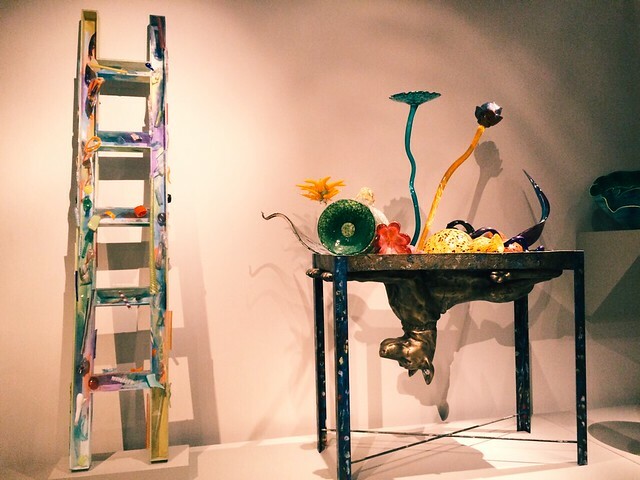 This, however, will not be the last I’ll see of Dale Chihuly’s masterful glassworks. One of the places I yearn to scratch off my growing bucket list is a visit to the Chihuly Garden and Glass in Seattle. In hindsight, I should’ve probably asked the agent to give me a day’s time to roam around Seattle before the flight back to Manila (I had a 45-minute layover in Tacoma. Boo).